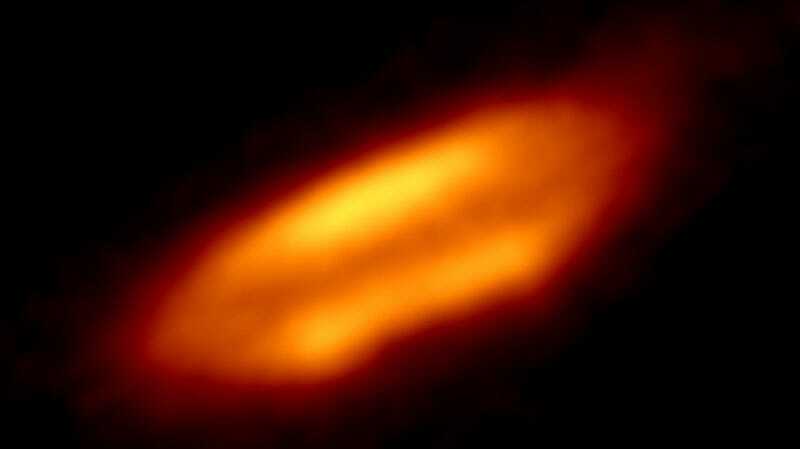 Protoplanetary disk around the star HH 212. Our own Sun presumably started out as a young star surrounded by gas and dust that eventually formed into planets. Meteorites here on Earth can be useful for telling the story the Solar System’s history, specifically through the elements they contain. By analyzing the Efremovka meteorite, a pair of researchers determined that a superflare that occurred around 500,000 years after the Sun’s birth could have emitted as many x-rays as the largest solar flare each second, but for perhaps an entire year. A solar flare, which usually lasts just minutes, is an outburst of energy and accelerated particles from the Sun; today, solar flares are a concern due to their potentially harmful effects on our technology. The researchers, both now working India, were specifically interested in calcium-aluminium-rich inclusions in the specimen, ancient minerals found in some meteorites on Earth thought to be the first objects to form in the high-temperature Solar System. But there are other elemental isotopes in these rocks, such as lithium, beryllium, and boron, which can further reveal events in the Solar System’s past. Specifically, the study focused on how meteorites ended up containing beryllium-10, a radioactive isotope with a half life of 1.386 million years, where after one half life, half of the radioactive material decays. This isotope is thought to arise either from oxygen or carbon breaking up from increased solar energy, or from low-mass stars exploding in a supernova. On analyzing a calcium-aluminum-rich inclusion from the Efremovka meteorite, the researchers found an excess of two other isotopes, called beryllium-9 and lithium-7. These elements signal the former presence another isotope called beryllium-7, which has a half life of only 53 years. They reasoned that in order to recreate the radioactive signature they were seeing and to explain the beryllium-10, the meteorites must have been hit with a series of short, quick pulses of solar radiation. On top of that, the researchers’ mathematical modeling implied that a large, ancient solar flare would perfectly explain the strange combination of isotopes in the calcium-aluminum-rich inclusion they were studying, according to the paper published in Nature Astronomy. There were a lot of mathematical models and inferences that led the researchers to these conclusions—these assumptions, and the chance for human bias, make it difficult to exactly retell the history of the Solar System. But the study reiterates something that’s quite amazing if you think about it: the Earth is littered with space stuff, asteroids that have struck the planet throughout its history that have been relatively unaltered since the Solar System formed. And locked into these rocks’ atomic nuclei are pieces of the Universe’s history—we just need to decode them.